Then Coley Taylor moves to town. Beautiful, pickup-driving Coley is a perfect cowgirl with the perfect boyfriend to match. She and Cam forge an unexpected and intense friendship, one that seems to leave room for something more to emerge. But just as that starts to seem like a real possibility, ultra-religious Aunt Ruth takes drastic action to "fix" her niece, bringing Cam face-to-face with the cost of denying her true self-even if she's not quite sure who that is. 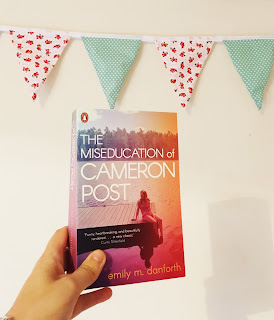 The Miseducation of Cameron Post is a book that I've heard a lot of people going on about in the past year or so. A few people have even recommend it to me saying I HAD to read it. So, I was delighted when the YA book club I go to chose it for our next read ahead of our September meeting. I was looking forward to getting into this book that many people have raved about. When her parents die suddenly, Cameron Post's first thought is relief. Relief that they will never find out that hours before she was kissing a girl. This relief doesn't last as she is forced to move in with her conservative, christian Aunt Ruth and her old fashioned grandmother. Survival for Cameron in Miles City, Montana means blending in and conforming to the norm. Something that she becomes an expert at. A few years later the beautiful Coley Taylor moves to town and her and Cameron instantly form an intense friendship that seems to leave room for something more to form. Before she gets a chance to find this out, her aunt Ruth takes extreme action to fix her niece. Making Cameron face up to the cost of denying her true self, even though she's not quite sure who that is. Okay, I may get a bit of stick for this but I found it really hard to get into this book. I so wanted to like it. The concept behind the story seemed really interesting and before reading it I was so certain I was going to be hooked. Sadly, this was not the case. I found that there was too much focus on the town and Cameron going out, getting stoned and fooling around then there was on the actual main plot line. Most of the first half of the story didn't really need to be there in my opinion and it felt like it was filler. It was really hard to get through and it did take me a while to read it. The second half of the story mind you was when I started paying full attention to the book. It did make up for the first half most definitely. It really brought to life what it can be like for a young sexually confused teenager who doesn't really have any support. I know this story was set in the early nineties and things are a lot better in this day and age but it still did bring up the issues of christianity and homosexuality and homophobia. The idea of a 'conversion' camp did anger me but I knew that it was needed to aid the plot. The characters that we meet along the way in this half also kept me reading. They all had unique traits and personalities and I felt for each and every one of them. I especially loved Adam and Jane Fonda (great name by the way). 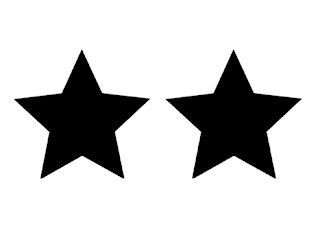 Following on from the characters, Cameron as a main character was one that I didn't dislike but I also didn't like either. I was quite neutral in regards to my feelings towards her. When reading a book I want to feel some sort of emotion towards the main character even if that is hate. This just didn't happen with Cameron and it was really disappointing. I tried so hard to feel something for her but alas, it didn't happen. The Miseducation of Cameron Post was one of those books that I really wanted to like but it just didn't do it for me. I felt like it was too long and some bits weren't really needed. Cameron as a character just didn't stand out to me either. However, the second half of the book really did keep me going and I did love the ending. I felt like it wrapped things up nice and neatly. 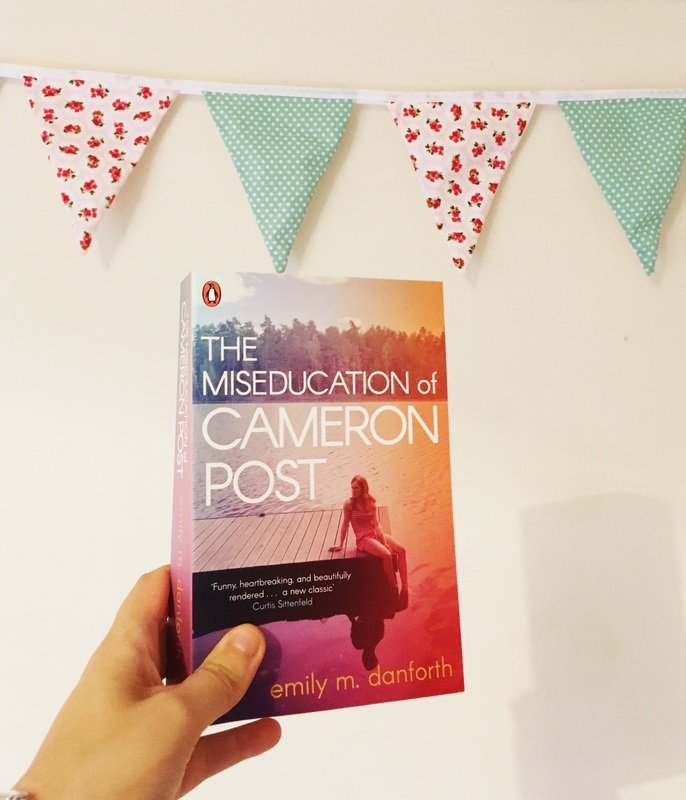 Emily M. Danforth's debut novel, The Miseducation Of Cameron Post received starred reviews from Kirkus, Booklist, Publishers Weekly, and School Library Journal, and was praised in the LA Times, The Boston Globe, The Seattle Stranger, USA Today, Entertainment Weekly, and NPR. 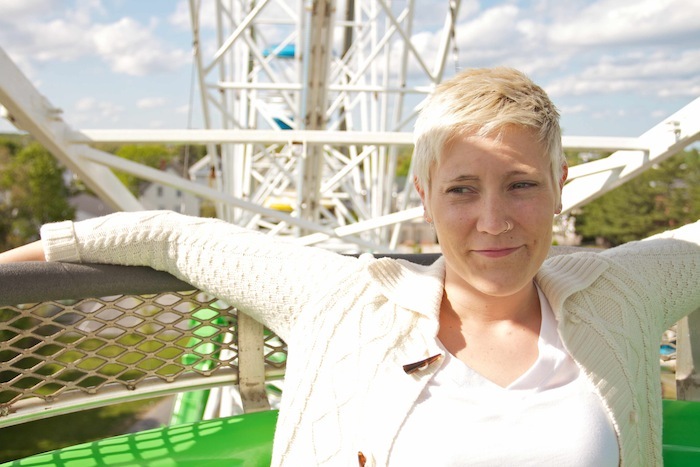 Emily has an MFA in Fiction from the University of Montana and a Ph.D in English-Creative Writing from the University of Nebraska-Lincoln. Her short fiction has won the International Queer Writing Award from the U.K.'s Chroma Magazine, and the George Garret Award from Willow Springs. She teaches creative writing and literature courses at Rhode Island College in Providence and is also 1/3 of the editorial/publishing staff of The Cupboard, a quarterly prose chapbook.